The first two weeks in November Tz'utuhil Maya artist Pedro Rafael Gonzalez Chavajay visited the US for exhibitions in Madison, Wisconsin and San Francisco, California. The exhibition at the Overture Center in Madison includes his seven most recent paintings. Pedro Rafael's paintings are some of the most historically important and carefully painted of any of the Maya paintings. He spoke about the meaning his paintings and Maya spirituality at the University of Wisconsin and at City College of San Francisco. The exhibitions at the Overture Center and at Café Que Tal in San Francisco will continue until January 1. Rafael Gonzalez y Gonzalez, the first Tz'utuhil Maya oil painter, in front of the municipalidad, San Pedro la Laguna. (See Guatemala Earthquakes below.) 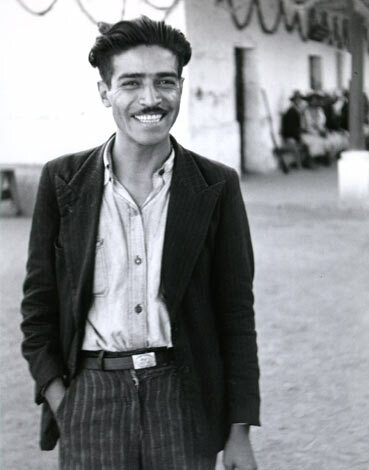 Photo Ben or Lois Paul, circa 1941. Arte Maya Tz'utuhil's first venture into posters are two paintings by Pedro Rafael Gonzalez Chavajay. The two paintings are currently included in the exhibition at the Overture Center in Madison WI. The first printing of 25 copies each was signed by Pedro Rafael during his visit. If these are successful, we will soon be offering posters by other artists. 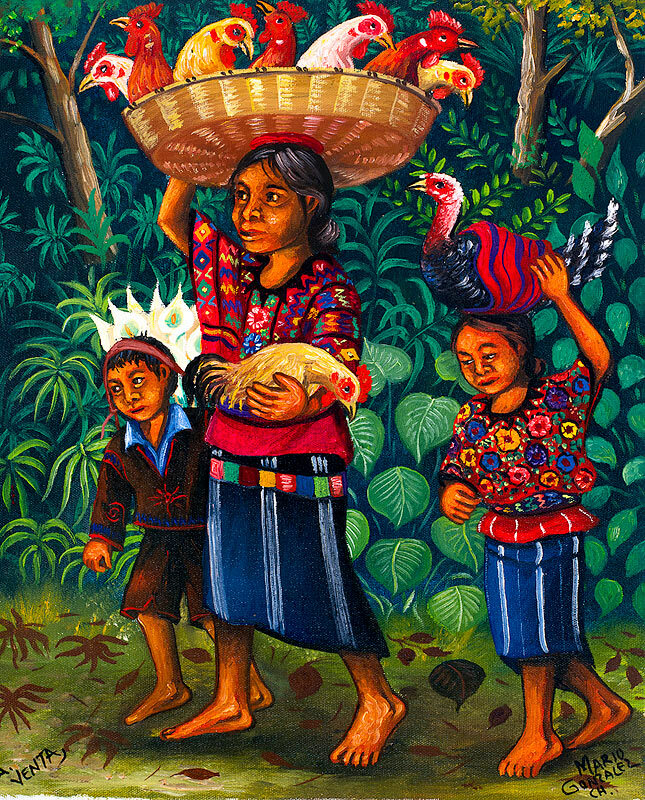 Mario Gonzalez Chavajay's paintings are among the most colorful of the traditional Tz'utuhil artists. Although he re-visits themes, every painting is an unique composition. We have received twelve new paintings by Julian Coche Mendoza. Our last shipment of paintings by Julian sold out in under two days. 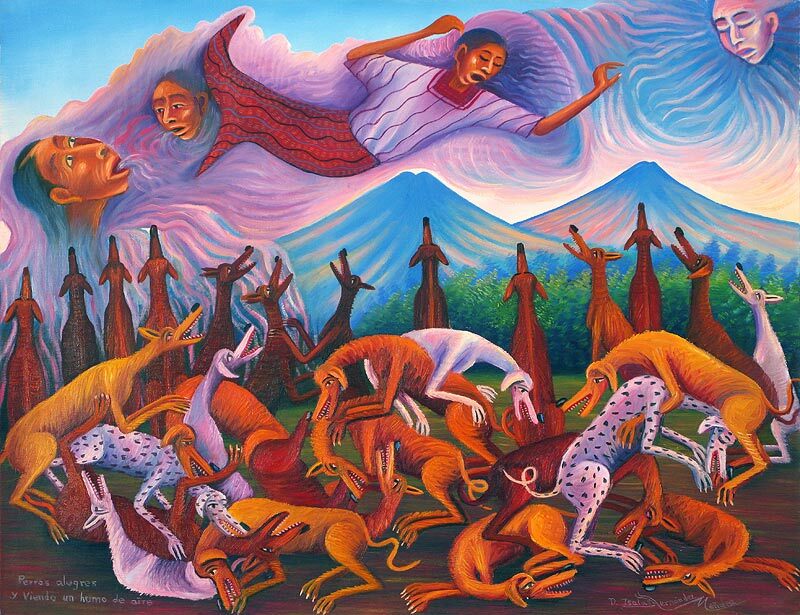 Diego Isaias Hernandez' themes are his own: dogs, accidents and natural disasters, and Maya spirituality. Every painting is an original composition. 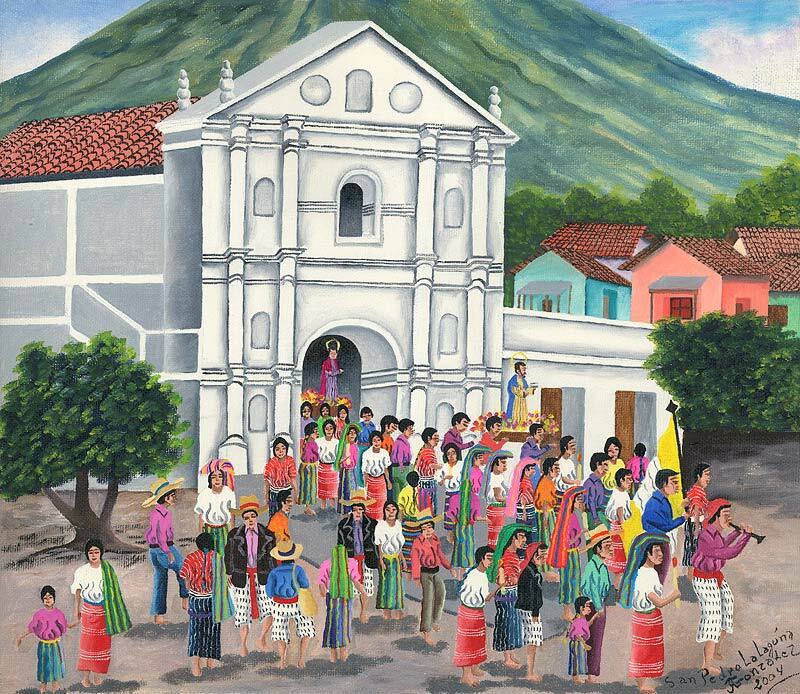 Jose Antonio Gonzalez Escobar's paintings usually include carefully delineated images of the colonial churches. 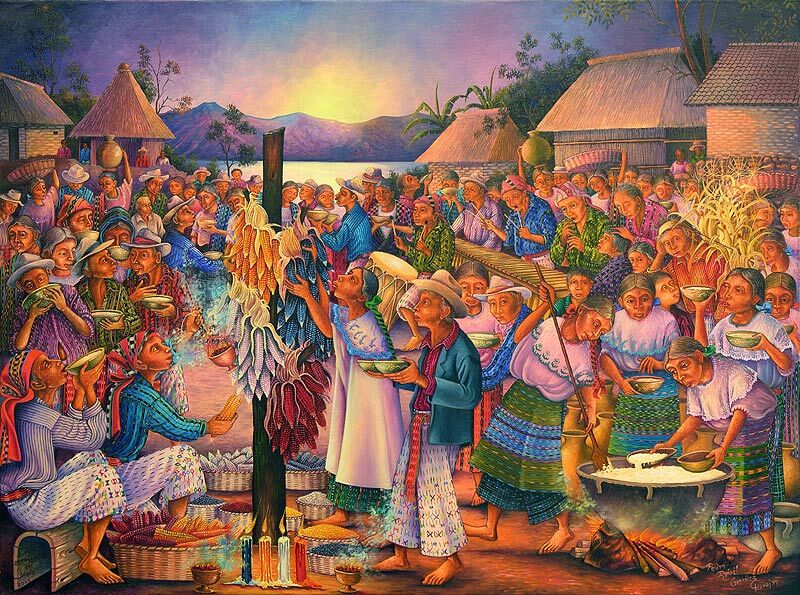 Featured are two large paintings of San Pedro la Laguna and Chichicastenango. Jose Antonio G. 24% Off. A 7.4 earthquake hit Guatemala on Wednesday, November 7, and was followed on Sunday the 11th by a 6.5 aftershock. The death toll climbed to around one hundred, mostly in the department of San Marcos near the border with Mexico. 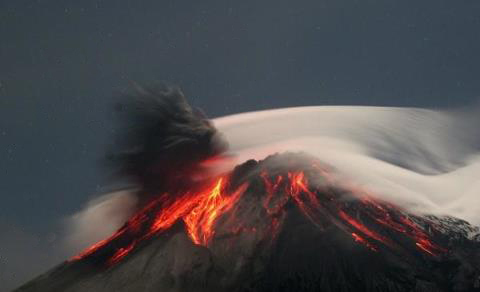 Guatemala experiences between 200 and 500 tremors each year. The most devastating Guatemalan earthquake, registering only slightly larger than the recentlyat 7.5 on the Richter scale, occurred in 1976. It is estimated that in the '76 earthquake 23,000 Guatemalans died and 73,000 were injured. The June 1976 National Geographic had an article about that quake including a section on Rafael Gonzalez y Gonzalez, the first Tz'utuhil Maya painter, under the heading Artist's Painting Foretells Quake. 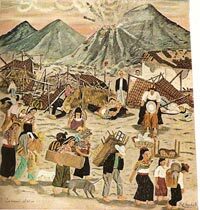 The article relates "In the Sombol Gallery in the capital, Guatemala City, Doña Ruth Bunge displayed an oil painted by the well-known primitive artist Rafael Gonzalez G. 'He had always done realistic village scenes, but this time, strangely, he had pictured an earthquake,' said Doña Ruth. 'Houses knocked down, people dead and injured, others fleeing. Gonzalez told me it was all imagination. The wife of the Belgian Ambassador, the Countess de la Barre d'Erquelinnes, saw the painting—and impulsively bought it [pictured rt.]. That was my last sale on February 3. '....It [the earthquake] struck at 3:02 a.m. on February 4." The 2013 Mayan Calendar is produced by Dr. Ed Barnhart, an archaeologist with over 20 years of experience studying Maya mathematics, astronomy and hieroglyphics. 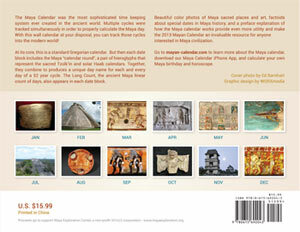 It reads like a normal Gregorian calendar, but each date block also includes the Maya "calendar round", a pair of hieroglyphs providing the dates in the sacred Tzolk'in and solar Haab calendars. 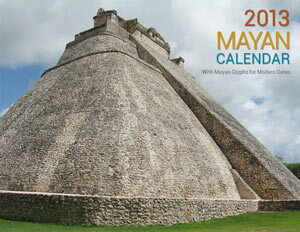 The Long Count, the ancient Maya linear count of days, appears at the bottom of each month. 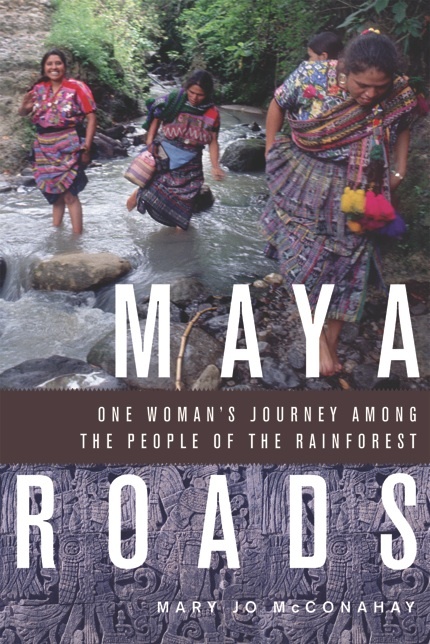 Proceeds support Maya Exploration Center, a non-profit research and education center. 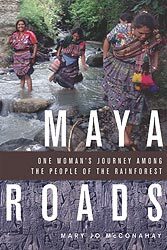 The website describes Maya Roads as "A journalist’s story of working, traveling and living in one of Central America’s most remote and dangerous landscapes, the cradle of Maya civilization. The intense beauty of the forest, the fantastic locales, ancient ruins, and the horrific violence of the jungle come to life in clear and compelling language." Mary Jo McConahay previously co-produced and wrote the story for the PBS documentary Discovering Dominga: "When Iowa housewife Denese Becker returns to the Guatemalan village where she was born, she begins a journey towards finding her roots, but one filled with harrowing revelations. Denese, born Dominga, was nine when she became her family's sole survivor of a massacre of Mayan peasants. Two years later, she was adopted by an American family. Denese's journey home is a voyage of self-discovery and a political awakening."